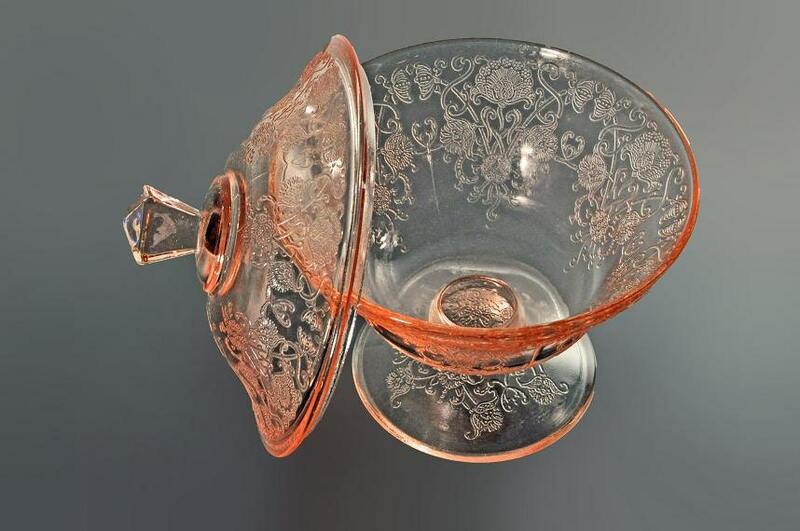 A lovely pink depression covered glass candy dish by Hazel Atlas, in the Florentine #2 / Poppy #2 pattern. The pattern consists of pink flowers. This would be a great addition to a coffee table or buffet. A wonderful item for the collector. This pattern is discontinued and the manufacturing date range was 1932 - 1935. 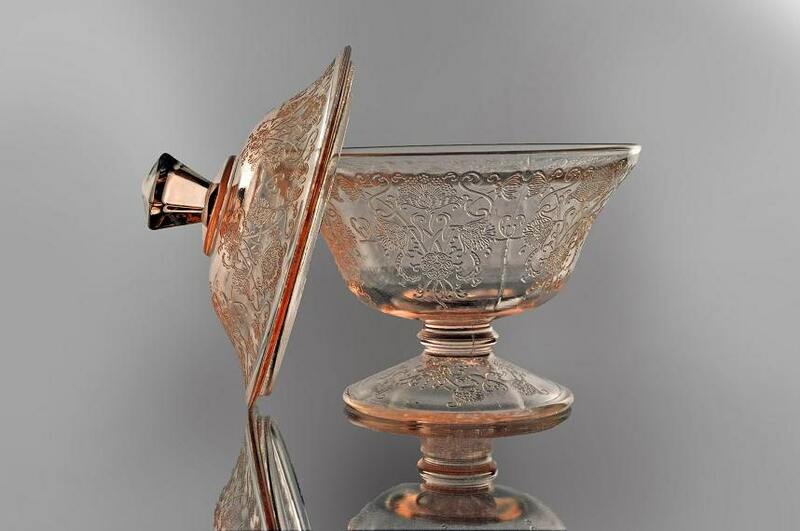 Hazel Atlas Glass Company was founded in 1902. It was a merger of 4 companies Hazel Glass and Metals Company, Atlas Glass Company, Wheeling Metal Plant and Republic Glass Company. 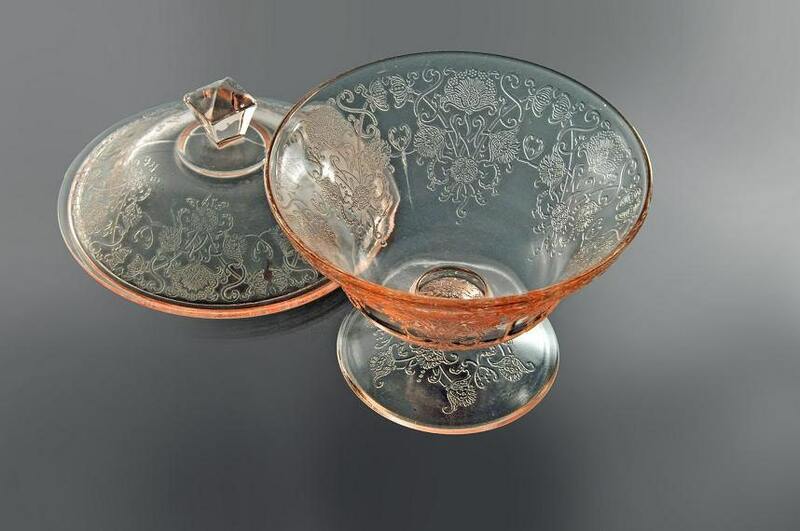 They manufactured depression pressed glassware in a wide variety of patterns throughout the 1920s, '30s, and '40s. It was closed in the 1960s. 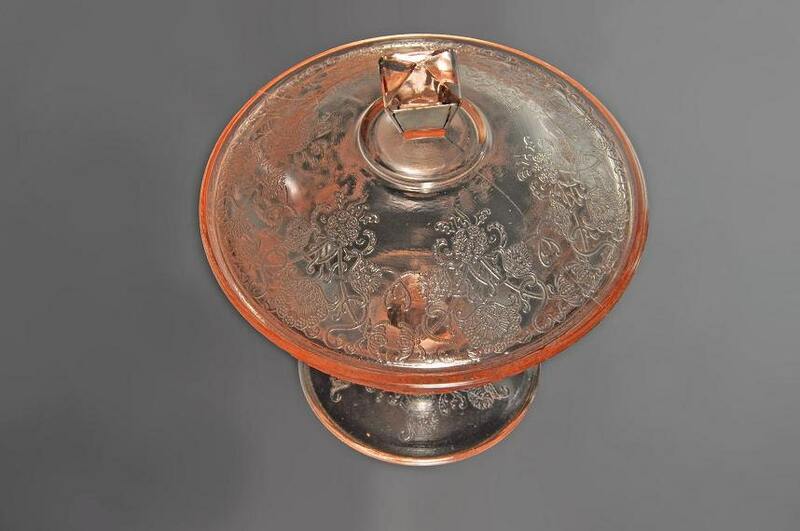 This candy dish is in excellent condition. There are no chips, cracks, repairs. 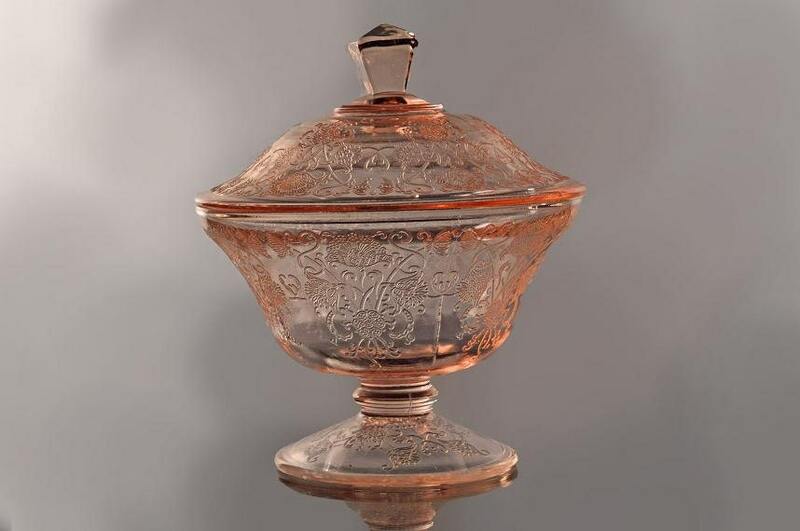 This is just a beautiful dish in need of a great home and it could be yours.